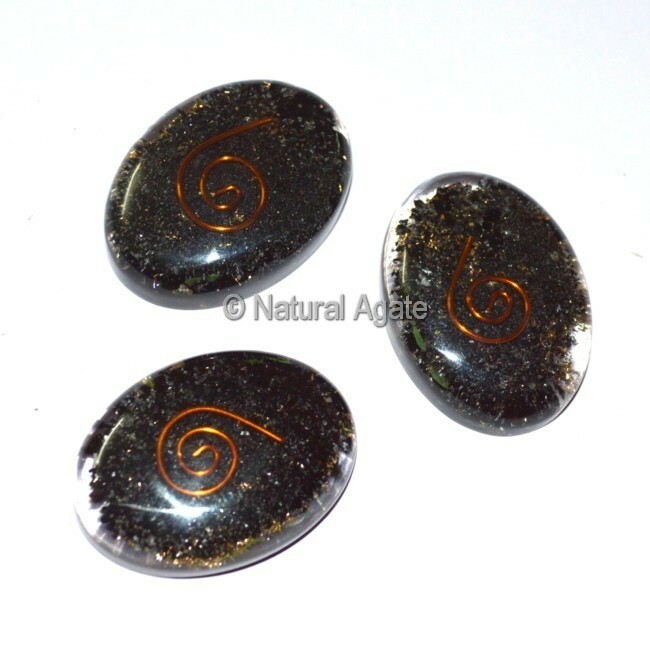 Black tourmaline orgone oval protects you from harmful EMF radiations. Place it near your electronic gadgets to keep the surroundings clean and pure. This orgone cabochon is available on Natural Agate.